To recognize companies across all sectors (50 + employees) both indigenous and multinational that have demonstrated significant achievements and success over the past year. 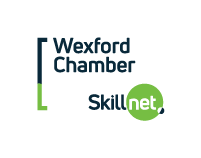 Showcase details of any collaborative working arrangements, joint ventures, or other initiatives undertaken with other County Wexford regional, national, or international businesses, organisations, clubs, societies, colleges. Outline your management or quality control system, formal and informal, that ensure the high standard of consistent delivery of your product or service and monitoring of customer feedback. Also, describe your staff recruitment and retention strategy.Outline details of your staff training and development programmes or investment in harnessing the skills, knowledge, competencies and resources of industry best practice or other improvements in the past 12 months. Also, describe your staff recruitment and retention strategy. Tell us about your sales and marketing activities, both online and offline, that demonstrate business performance, presence, awareness, sales leads, conversions, engagement and growth. Please provide details on how you measure your success.